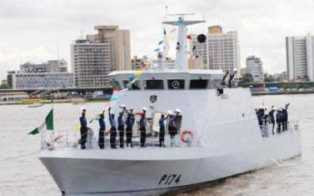 Home / News / Nigeria Navy / Nigerian Navy postpones recruitment as 300,000 apply for 3,000 slots. Nigerian Navy postpones recruitment as 300,000 apply for 3,000 slots. The Nigerian Navy Wednesday disclosed that it has postponed the recruitment exercise for the 2016 batch 25 trainees initially slated to hold nationwide from Saturday 9th April. Vanguard's investigation revealed that the decision of the Naval authorities to postpone the exercise may not be unconnected with the huge volume of applicants, (about 300, 000) that have showed interest in joining the force. It would be recalled that following the new federal government policy, applications for recruitment into any security agency is free. With just about 3, 000 slots available in the recruitment exercise, the Naval authorities felt it was better a new digital approach is applied to handle the huge volume of application and avoid any calamitous occurrences such as witnessed in the past in the Immigration episode , Vanguard further gathered. A statement from Naval Headquarters on the postponement, signed by the Director of Naval Information, Commodore Christian Ezekobe said, "The Aptitude Test for applicants of the 2016 Nigerian Navy Recruitment Exercise initially scheduled to hold nationwide on Saturday 9 April 2016 has been postponed. "The Exercise will now hold on Sat 14 May 2016 at all the designated centers nationwide as earlier planned. "The shift in date is necessitated by the desire of the Nigerian Navy to ensure a well-planned and hitch-free Recruitment Exercise. "Therefore, the Nigerian Navy regrets any inconveniences the postponement will cause to parents and candidates. "More so the general public is hereby informed that there is 'NO' extension of date for submission of online application forms. The submission of online application forms ended Friday 1st April 2016.